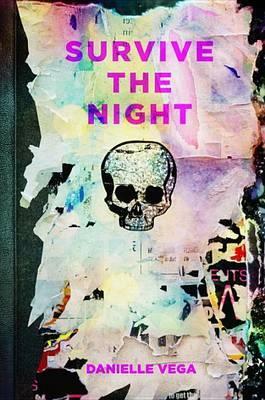 Stephen King meets Pretty Little Liars in this pulse-pounding novel from the author of The Merciless Just back from rehab, Casey regrets letting her friends Shana, Julie, and Aya talk her into coming to Survive the Night, an all-night, underground rave in a New York City subway tunnel. Surrounded by frightening drugs and menacing strangers, Casey doesn't think Survive the Night could get any worse... ...until she comes across Julie's mutilated body in a dank, black subway tunnel, red-eyed rats nibbling at her fingers. Casey thought she was just off with some guy--no one could hear her getting torn apart over the sound of pulsing music. And by the time they get back to the party, everyone is gone. Desperate for help, Casey and her friends find themselves running through the putrid subway tunnels, searching for a way out. But every manhole is sealed shut, and every noise echoes eerily in the dark, reminding them they're not alone. They're being hunted. Trapped underground with someone--or something--out to get them, Casey can't help but listen to Aya's terrified refrain: "We're all gonna die down here." Danielle Vega spent her childhood hiding under the covers while her mother retold tales from the pages of Stephen King novels instead of reading bedtime stories about princesses and dwarves like a normal parent. Now an adult, she can count on one hand the number of times in her life she's been truly afraid. Danielle has won numerous awards for her fiction and nonfiction, and earned a 2009 Pushcart Prize nomination for her short story "Drive." She is also the author of The Merciless.